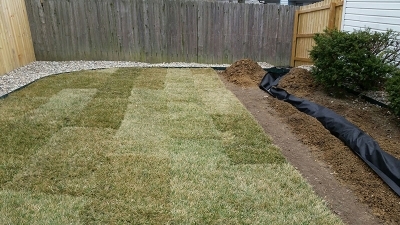 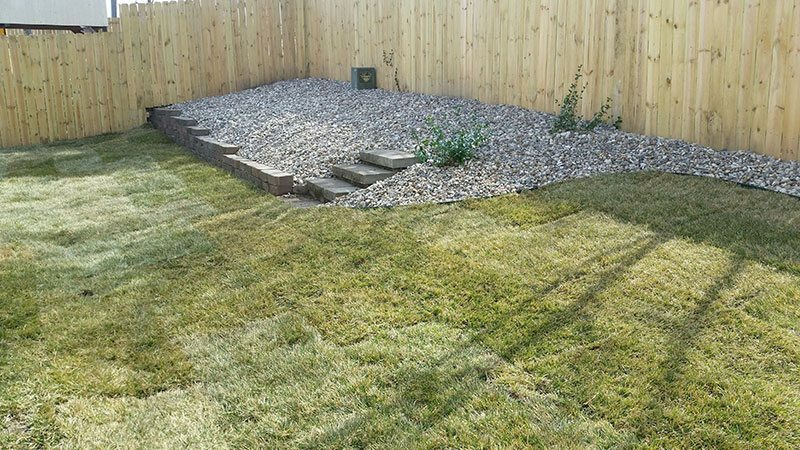 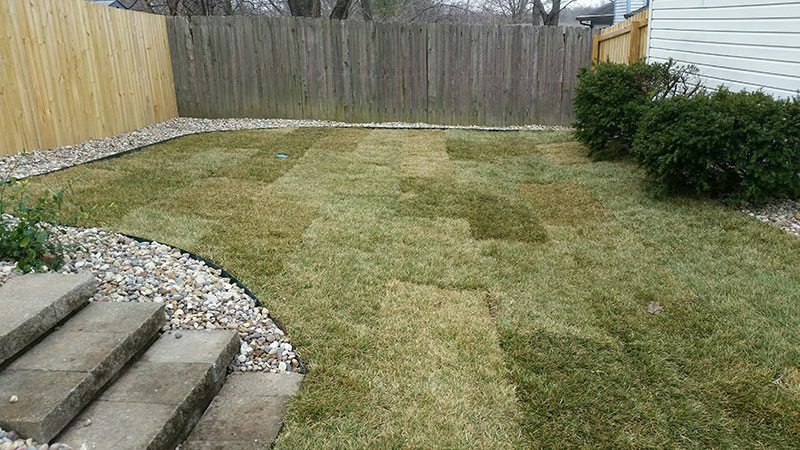 This is a before and after of a lawn that needed some reworking. 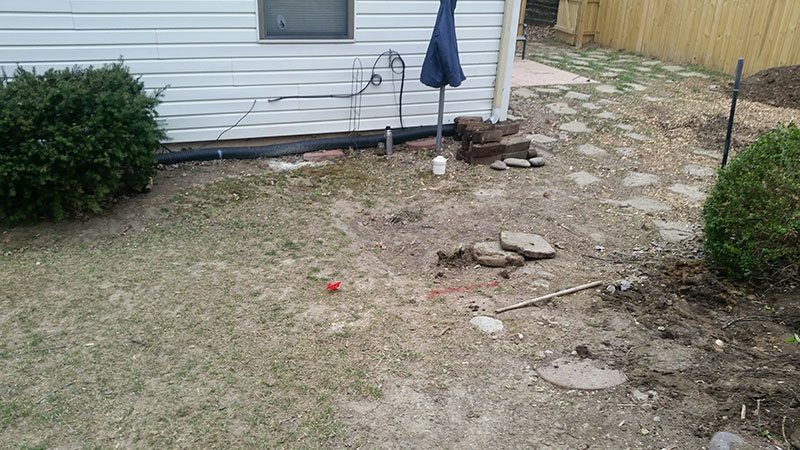 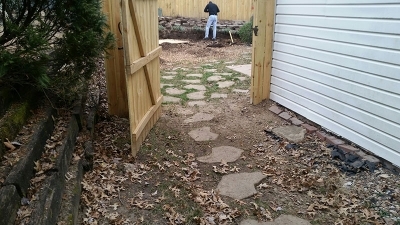 The grass was in bad shape, there was standing water after rain and the existing retaining wall needed rebuilt. We correctively graded the lawn very slightly. The entire back lawn was resodded. 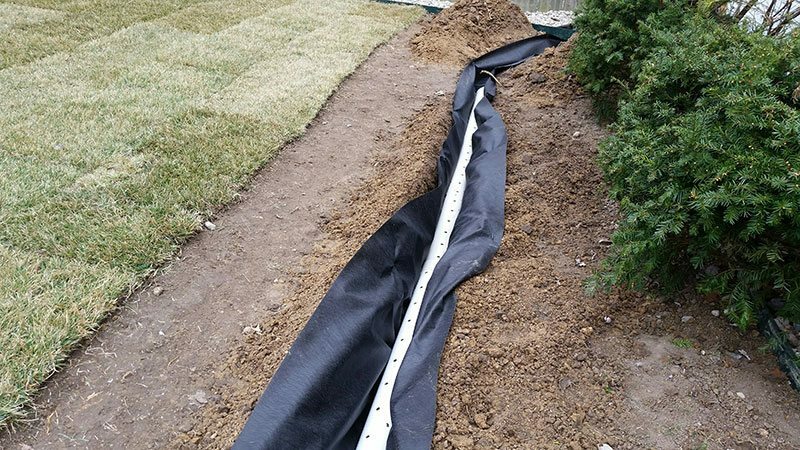 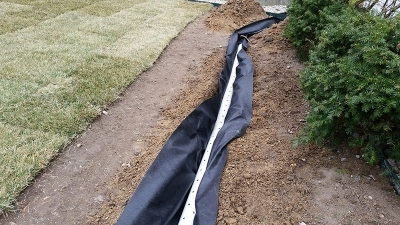 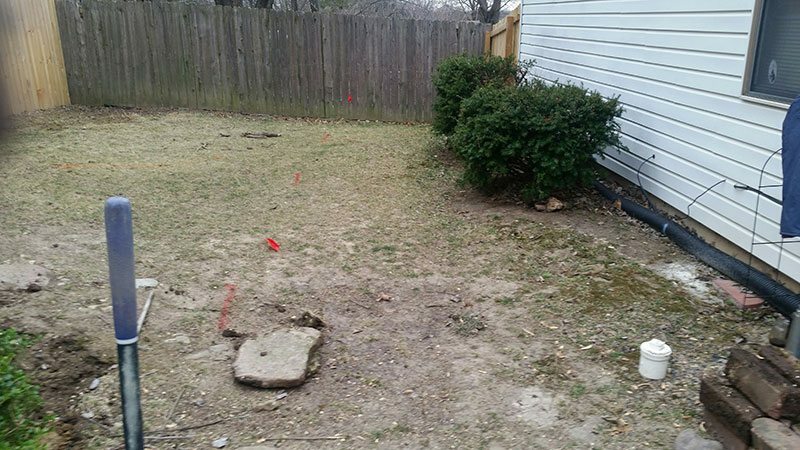 A french drain was added to prevent standing water and insure it would flow off to the street. The original small retaining wall was rebuilt and rock beds were added to border the yard. 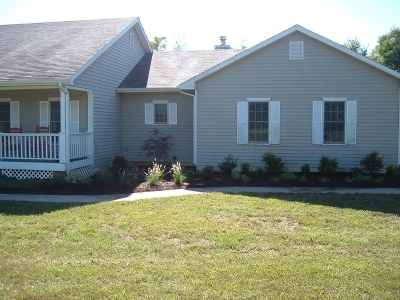 This is a before and after of a renovation we completed last summer. 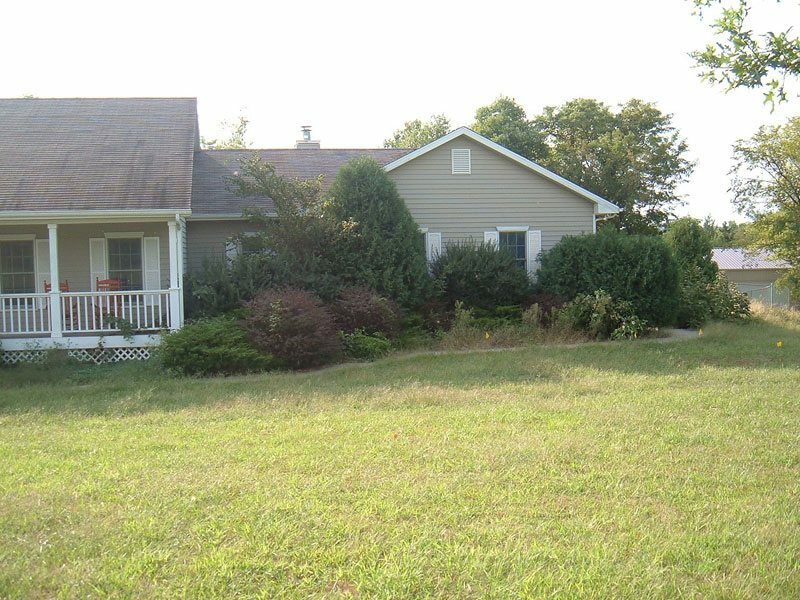 As you can see the shrubs were overgrown and the original plantings were too large for the given location. 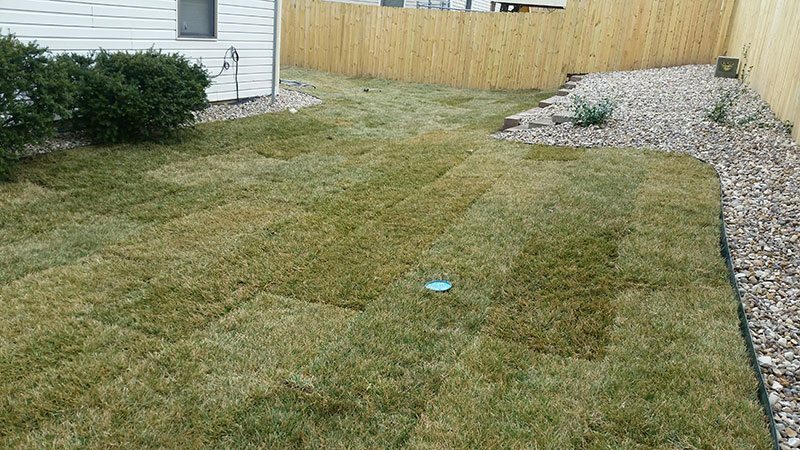 There are many dwarf varieties of plants available today that we can use in place of traditional plants that may be too large for some areas as seen here. 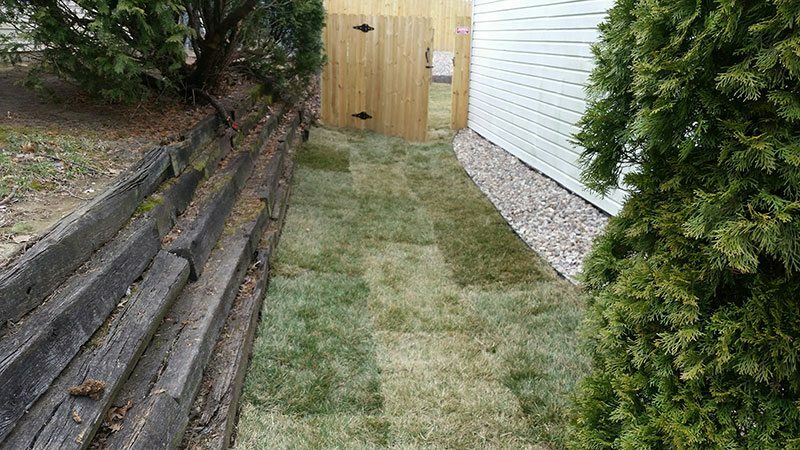 This home had a slight drop in grade on the right side, which allowed us to construct a small retaining wall, build a raised landscape bed and fill with shrubbery and a River Birch as seen below. 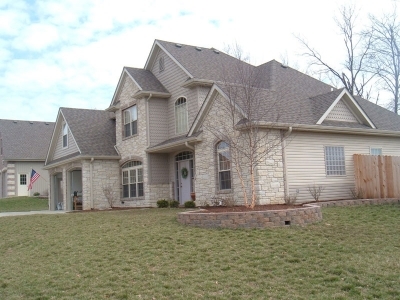 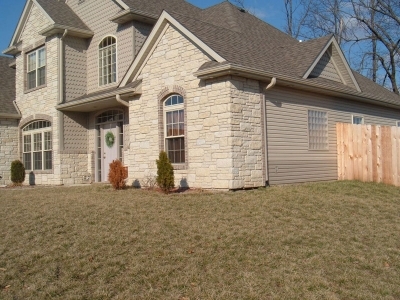 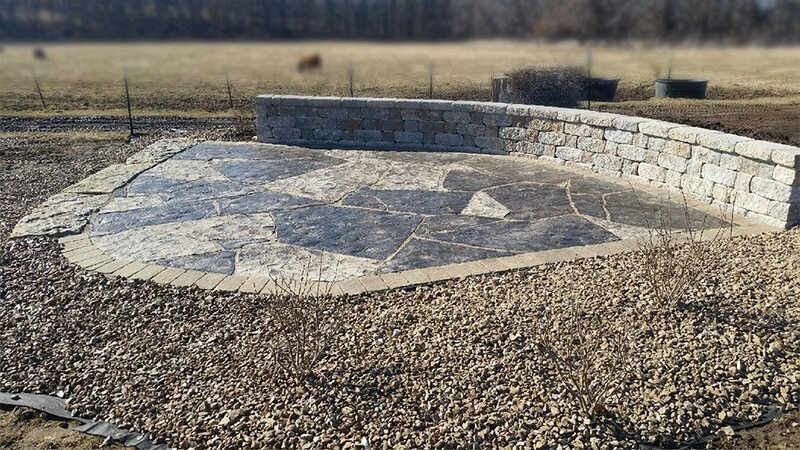 The homeowner chose this stone which compliments the home and provides another element of interest in the landscape. There are several different products available to create the desired feel for your landscape. 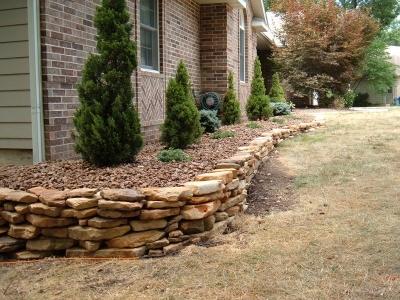 This is a small natural stone retaining wall we built for a customer that wanted something unique to his property. 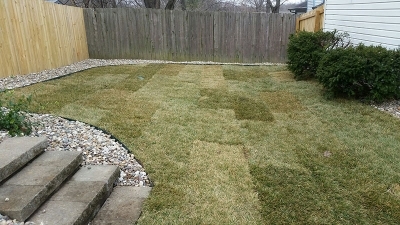 This a a paver stone patio and landscape installation we completed for a customer last year. 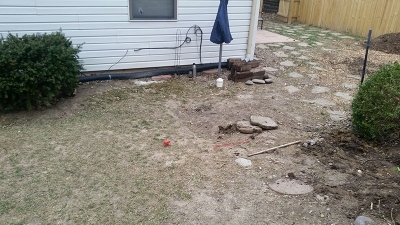 this was a problem area that wouldn’t grow grass due to shade. 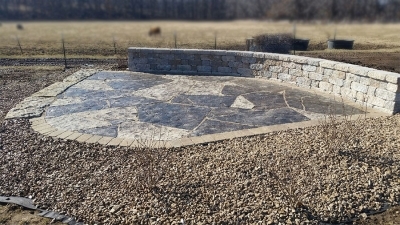 Now the area is a nice place for the homeowner to relax and entertain during the summer.